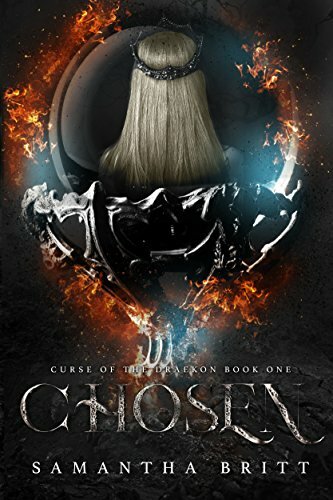 Chosen, Curse of the Draekon Book One. Living in world where the Draekon rule, it sounds amazing. Only not when you live in Caldiri. Lissa Allaway is the only healer in Caldiri, the poorest region in the continent. Here she tries to survive with her siblings. Only she is recruited to serve those creatures the Draekon. Going to the one place she fears the most, living between the Dreakons in their capital. Working for those cruel creatures only to find out that not everything is as it seems. Still a rebellion is brewing in the depths of the country, not everyone wants to believe the truth. How will she survive this? She has so much questions, only you don’t always want to hear the answers. This is the first book in the Curse of the Draekon books. And I’m loving it, I like the world that is build here and find it great to be sucked into it. It is a book you read in one breath and want to read again. I like the characters and their personality’s, the way they interact and how they grow. I like how they all find a way into your heart and plan to stay there. It is a fun book, a nice read and series I certainly want to read and hope it never ends. Get your copy here, and book two is out too so get that one here.